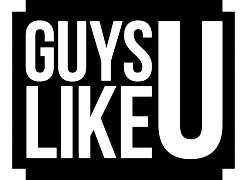 GuysLikeU celebrate the people, cultural moments and events that shaped our lives. There have been many great people and iconic moments that have inspired and changed the way gay, lesbian and transgender people live their day-to-day lives. And while the likes of Oscar Wilde, Alan Turing and Harvey Milk have been honoured many many times before, we decided to tip our hats at the folks, shows, films and cultural moments that have made us the boys we are today! And for those of you too young, think of some of these great moments as Gay History 101 – the things every gay guy needs to know! Here our regular contrib Hadley pays tribute the Eurovision wonder that was Conchita! February can be a bit of an odd month. We’ve all just gotten over our January Blues and thankfully, Valentine’s Day is over. Now it’s time to celebrate. But I’m not talking about the mouth-watering half price V-day chocolates still perched on the shelves at Tesco’s. February marks the annual event of LGBT History Month. You may have already read about how Dynasty changed our lives, although given that I wasn’t even alive in the 80s, I’ve decided to focus a little more on recent LGBT history. The winner of the 2014 contest was not only crowned Queen of Eurovision, but became an instant gay icon. When Conchita Wurst represented Austria, rising like a phoenix to claim her rightful throne the world was in awe. Her performance of Rise Like a Phoenix was unforgettable, not just because a guy with a beard in a dress was singing it, her voice was sensational and the spirit-lifting song made quite an impact on a Europe that in 2014 was being rocked by countries like Russian who were challenging gay rights with their bigoted views. In spite of criticism from some right wing countries who threatened to boycott the contest if Conchita took to the stage, the voting public fell in love with the flamboyant singer culminating in her triumphant victory. Of course, it’s no wonder that Conchita sparked such an extremely positive response from LGBT people across the world. Her beard symbolised that it was OK to be different and her voice encouraged us to speak up about LGBT equality and was like a two fingers up to the haters in those countries which insisted on persecuting its LGBT inhabitants. I’ve taken a quote from Conchita following her win, which really sums up what I think many have felt at some point: ‘Over the years I changed myself in every way you can imagine, I just wanted to be part of the game… Then I realised, I create the game.’ Wise words. Previous ArticleSee gorge DaddyHunt actor BJ Gruber in 'making of' clip plus teaser from his new VAMPIRE flick! !